On Jan 22, Holland died after being held naked in a restraint chair for more than 46 hours without sufficient food, water or access to a bathroom. 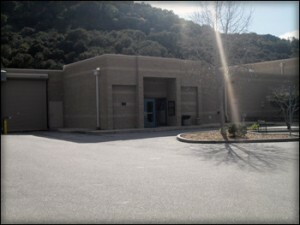 Shortly afterwards, the FBI mounted an investigation into the criminal culpability of county staffers involved in a string of deaths at the jail, an investigation that is ongoing at this time. Last week, someone released a video of Holland’s last days and his death to the Tribune. The video shows that while Holland struggled and then died on the floor of his cell, guards smiled and laughed. At about 7 p.m. on Tuesday, correctional staff noticed a suspicious package near the front door of the jail. As a precautionary measure, deputies told people who were at the jail to visit inmates, to leave the premises. The lobby and the parking lot of the jail were closed down and Kansas Avenue in front of the jail was closed to traffic. Members of the bomb squad then detonated the package. The department has not yet disclosed the contents of the package. c.d.cox I’m my experience in this city/county, it’s not even worth calling 911. A waste of time. Other cities are different. Their LEO are professional, unlike here. Some of you people remind me of the anti LEOs in the sixties and seventies that referred to LEOs as pigs and worse but who was quick to call for help when they were in trouble. Stunned oh boy you are SO WRONG. Now the Bullies with Badges are Chicken Hawks. What a shame. “Bullies with Badges”? Obviously your life (tucked in behind a keyboard) wasn’t part of any threat and I’m guessing you’ll never be too near danger. Tell Jay Vestals family that one.